The Marine Conservation Society's Annual Conference had a special focus on climate change - one of the greatest impacts on our world's oceans today. Widespread seabird starvation has occurred in some of our largest and most renowned colonies, a report by the Joint Nature Conservation Committee (JNCC) revealed. On St Kilda, one of the UK's largest seabird colonies and a designated World Heritage Site, Puffin, Fratercula arctica, chicks starved to death in their burrows, as their parents failed to find sufficient food for them. A pitiful sight confronted seabird biologists, as adults brought back beak-fulls of inedible pipefish in a vain attempt to nourish their offspring. 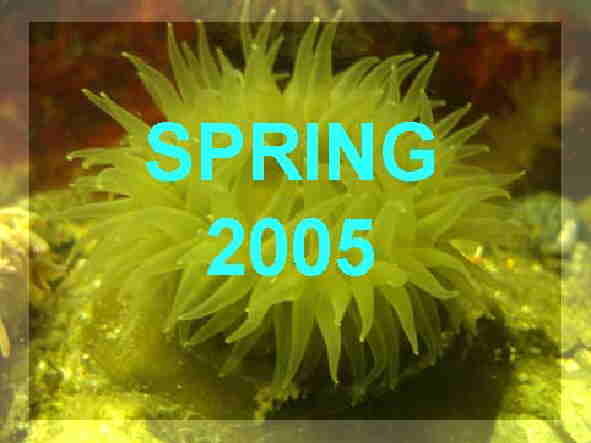 The reason for this mass starvation was a widespread shortage of the Lesser Sandeel, Ammodytes marinus. This energy-rich fish is the staple diet of many seabirds, and is key to their breeding and survival. 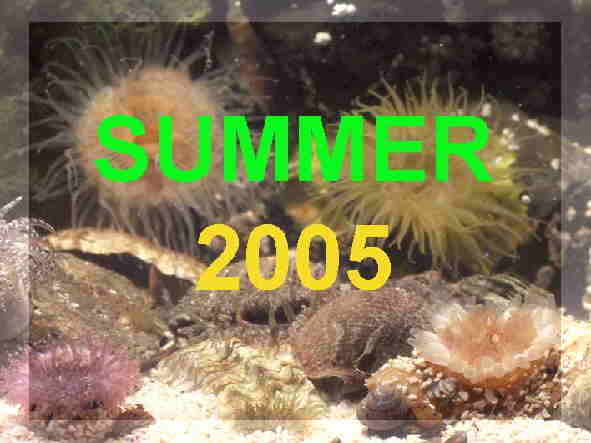 But in 2005 shoals of this usually abundant species were largely absent from the seas around western Scotland. While other fish were taken as an alternative, few provide the energy required to raise the growing chicks. A pod of eight Risso’s Dolphins, Grampus griseus, passed Port St Mary on the Isle of Man early in the morning. 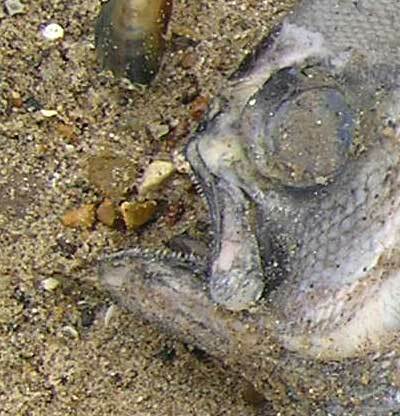 The laterally compressed fish was washed up dead on a beach at Heacham, Norfolk. It measured 51 cm in total length and 47 cm without the distinctive long caudal fin. 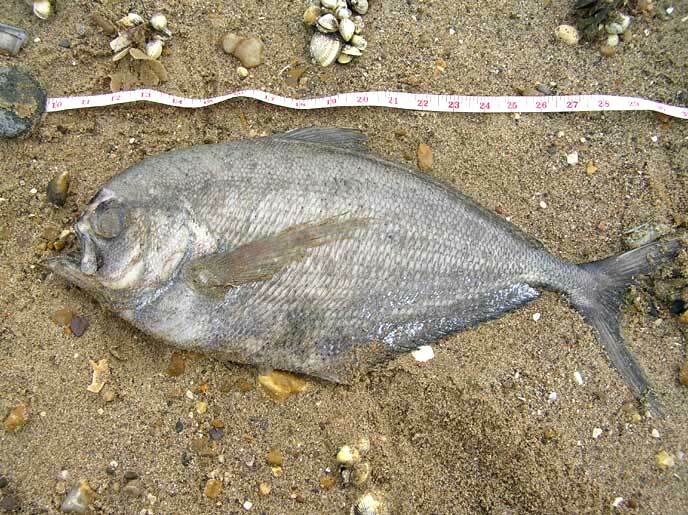 I have identified it as a Ray's Bream, Brama brama. 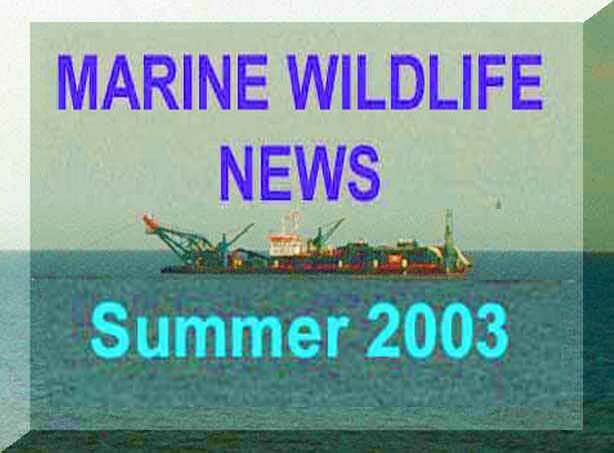 A large dead whale seen floating in the Solent off the Isle of Wight coast was believed to be a Fin Whale, Balaenoptera physalis. 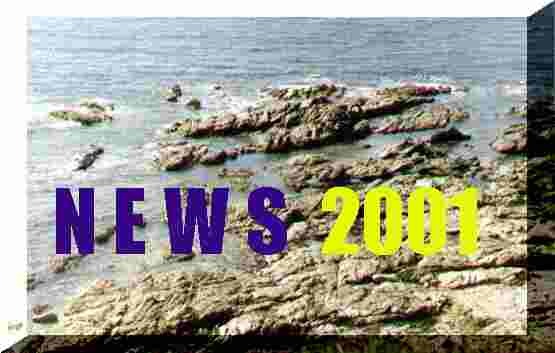 The 10.7 metre long whale eventually washed up on a sandbank between Seagrove Bay and Bembridge. A Common Seal, Phoca vitulina, swam up the tidal area of the River Ouse in East Sussex up a narrow winding river for three miles to Southease. 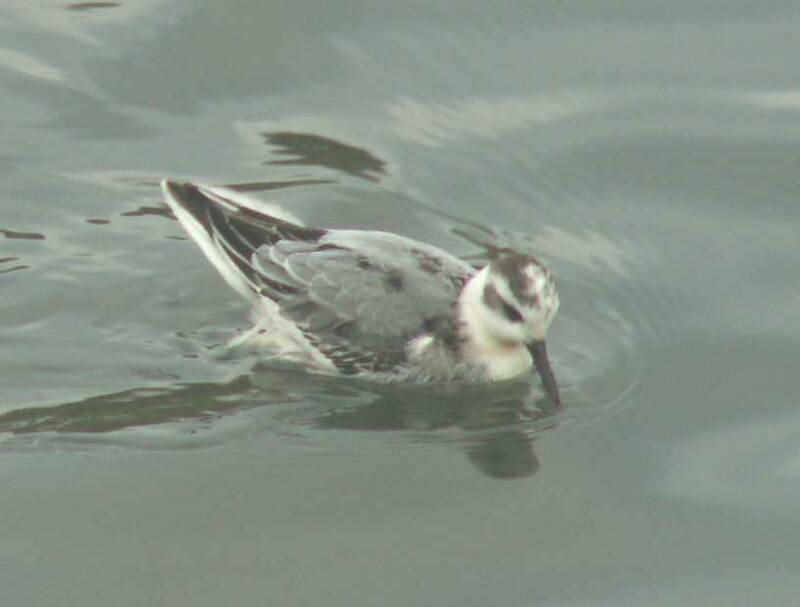 There has been an influx of Grey Phalaropes, Phalaropus fulicarius, all over the south and west coasts of England and Wales. 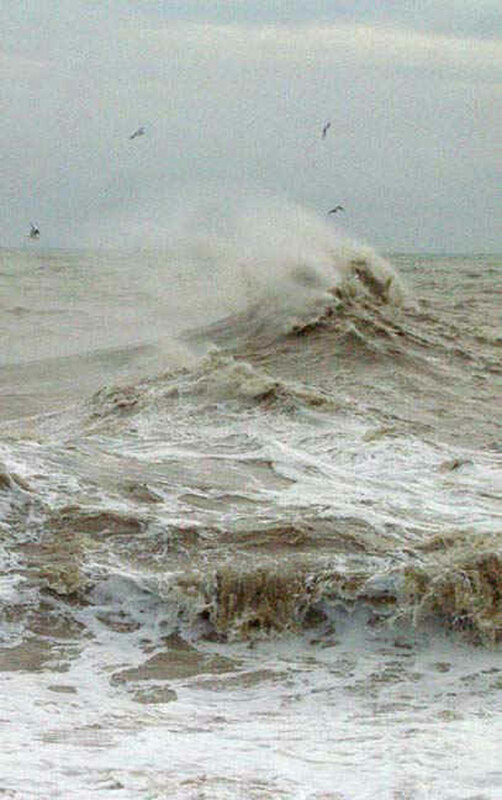 The arrivals followed a spate of gales. This bird is blown in during most years, but there may be more this year? 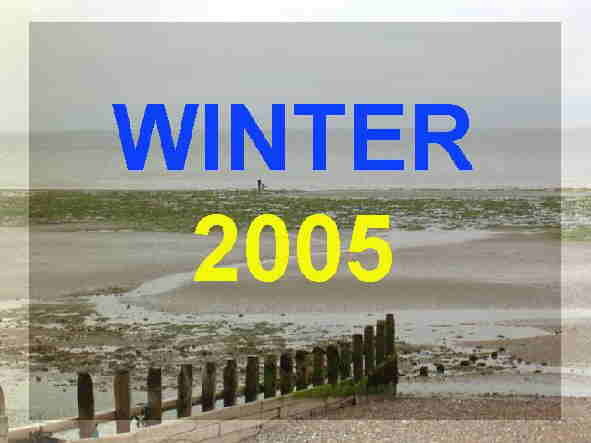 The photograph shows a first winter bird on Brooklands Boating Lake, Lancing, Sussex, where it remained for a week and was joined temporarily by a second bird. 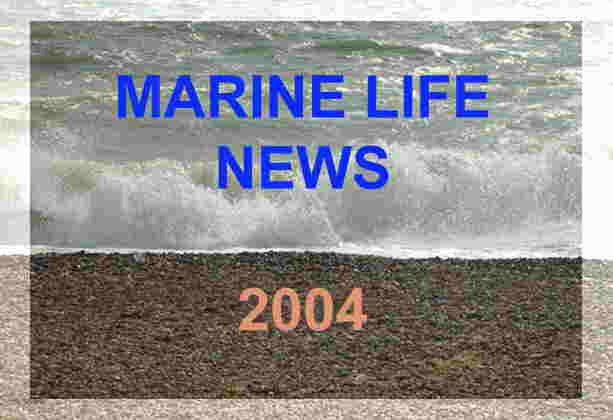 A deep water crab Atelecyclus undecimdentatus was caught and returned to the sea in five metres of water of the coast of Jersey. 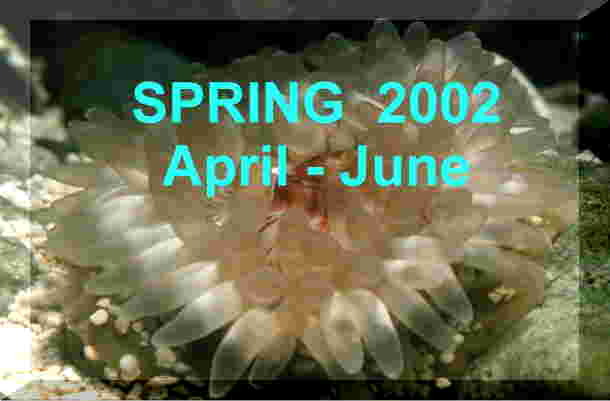 The carapace length of this circular crab was 40 mm. 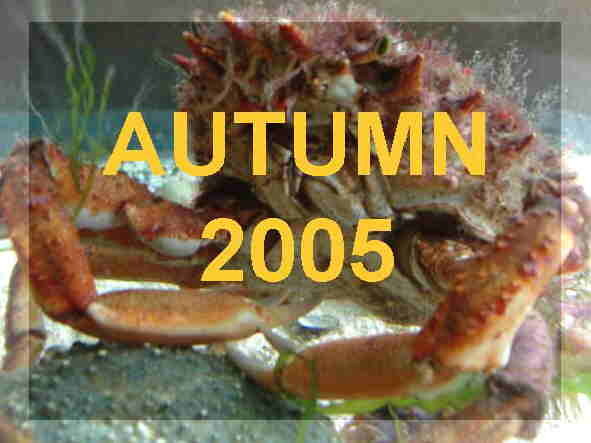 This species of crab is rarely (if ever) recorded in the English Channel because it usually lives at greater depths. 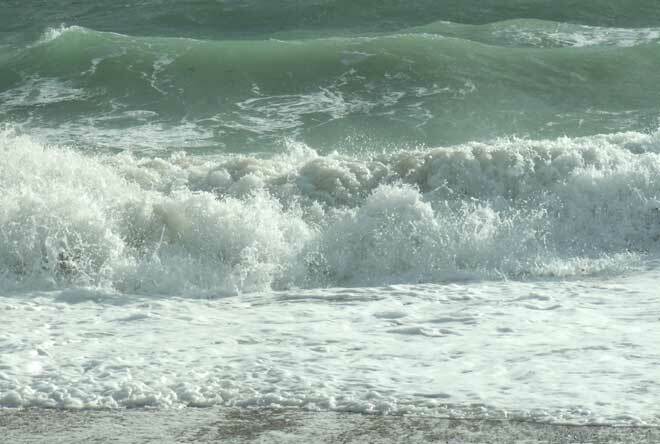 It is recorded more often off the south-west coasts in the vicinity of deeper water. 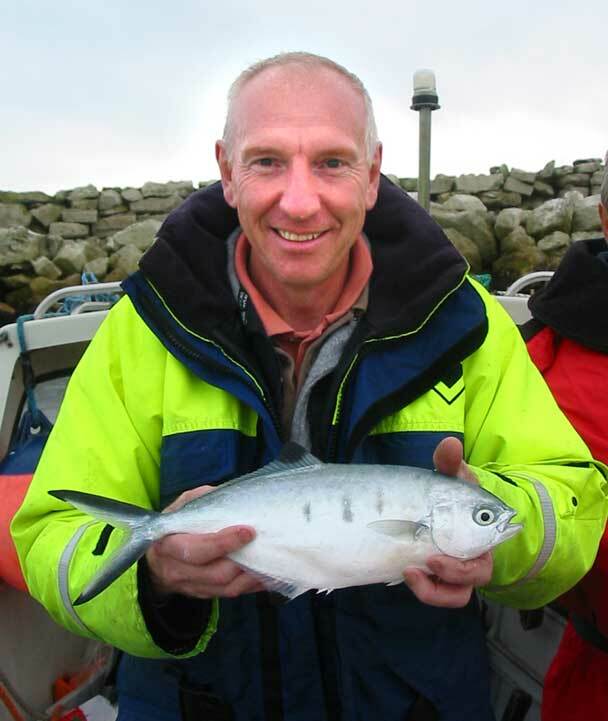 Colin Naman caught a a Derbio, Trachinotus ovatus, amongst a school of Garfish, Belone belone, in Portland Harbour. 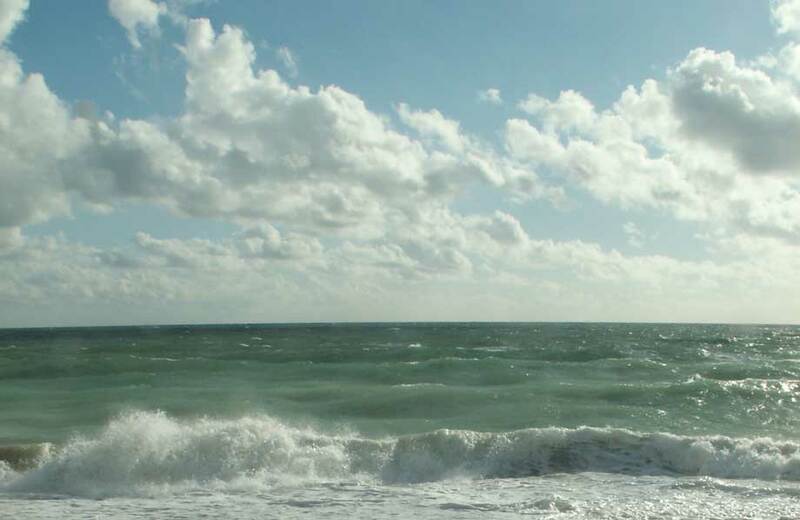 This fish was released back into the sea and swam away unharmed. It is one the jacks classified in the family Carangidae. 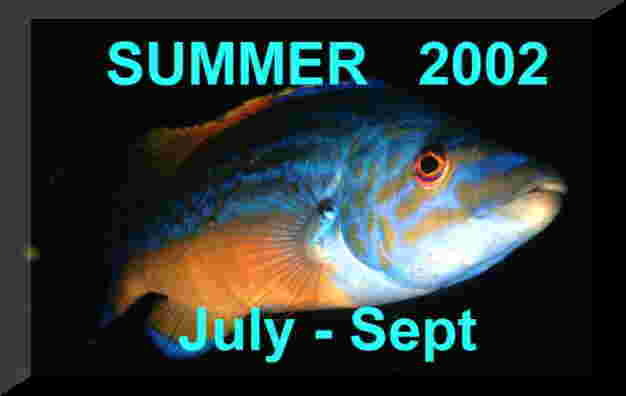 It is a southern fish which is moderately common in the Mediterranean Sea and the eastern Atlantic Ocean but rarely encountered in British seas where it is usually associated with surface feeding shoals of fish. 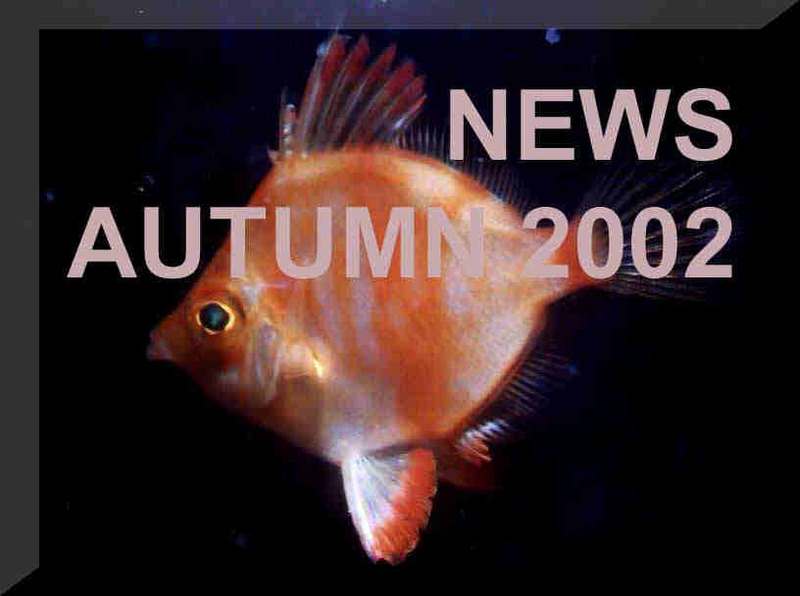 An Angler Fish, Lophius piscatorius, weighing 51 kg was caught on road and line of Norway. This was a large fish as the international angling record for this species is 57.7 kg off Norway. A Striped Dolphin, Stenella coeruleoalba, was washed up on Porthmeor beach near St. Ives, on the Cornish coast. 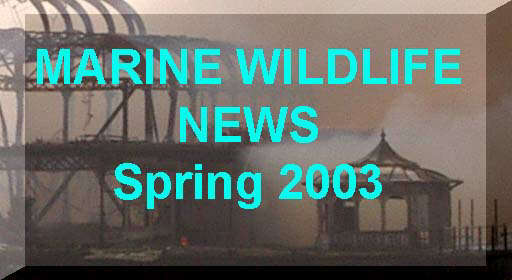 Its injuries seemed to indicate it was caught in a fishing net before it perished. 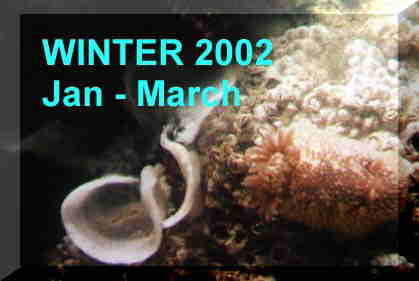 A new species of marine worm Osedax mucofloris that lives off whale bones on the sea floor has been described by scientists. 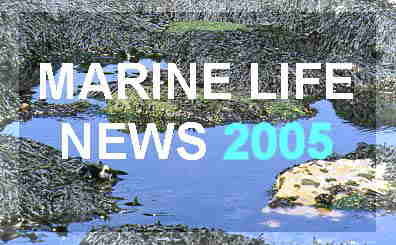 The creature was found on a Minke Whale, Balaenoptera acutorostrata, carcass in relatively shallow water close to Tjarno Marine Laboratory on the Swedish coast. 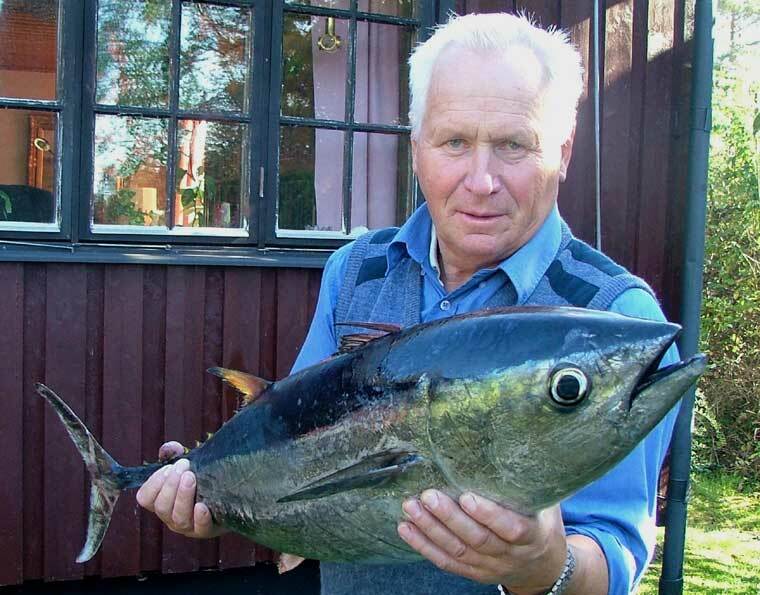 A 10 kg Tuna was discovered in a crab net south of Göteborg in south-west Sweden. 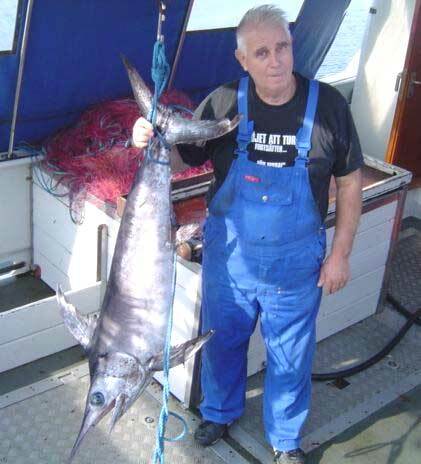 I think this is a small specimen of the Bluefin Tuna, Thunnus thynnus. This large fish is now rare in these northern seas.